When I was planning my trip to Aruba I put out the call to my friends to see who had been there and what could not be missed. One of them mentioned that there are flamingos on the beach in Aruba and I was beyond ecstatic. I could just picture it: Chilling with a bunch of pink compadres in that beautiful blue Caribbean water? It’s a photographer’s dream! But when I arrived in Aruba it turned out that there are not scores of flamingos roaming around all over the beaches, they are in just one spot – a private island owned by a hotel. Renaissance Island is a private island connected to the Renaissance Hotel, which is located in the main shopping area of Aruba. It’s somewhat close to the cruise port and the airport in Oranjestad. In order to access the island you have two options: You can stay at the Renaissance Hotel since it’s included as a hotel perk, or you can pay a $99 fee for access to the island for the day. It includes the boat transfer, lunch on the island, and a drink. There is, however, a caveat. The hotel sells a maximum of 30 passes to the island per day to non-guests, so it is possible that you could arrive at the hotel and find that they are sold out. That said, the hotel can cost as low as $150 per night and it has a pretty awesome pool as well, so I would suggest staying there for a night if seeing the flamingos is really high on your list of must-dos in Aruba. You can also call the hotel ahead of time to make sure they still have passes before you head over. If they turn you down at the lobby, remind them that you called ahead, and they still may sell you a ticket – it worked for a couple of friends of mine. The island itself is absolutely stunning. You access it from a tiny little porch area next to the Starbucks on the floor below the lobby in the Renaissance Hotel. The speed boat runs every 10 to 15 minutes and, reminiscent of Las Vegas, takes you under the lobby of the hotel before heading right out into the ocean. After about 15 minutes you arrive at the island which has been carefully crafted into a dreamy Caribbean getaway with hammocks, swaying palm trees, and of course, a little group of flamingos. The island is divided into two sides – the adult side and the family side. The flamingos are actually located on the adult side, so do expect to see some children coming over to see them from time to time. There are also little huts on one of the rocky peninsulas that you can rent out for the day, which we did since my time in Aruba fell on the birthday of two of my friends and I. So we had to, right? Each one has a hammock over the water, and the end one that we rented had a swing as well. Sadly, drinks are not included so this is purely for the privilege of having a private area on the island. Is Flamingo Island worth it? I had a wonderful time on the island, all in all. I thought it was absolutely beautiful, relaxed, and of course I enjoyed a little romp in the warm water with the flamingos. That said, I think that $99 is really steep. There are only about seven flamingos and everybody wants to take photos with them. They are not native to the island, so I think of it more as a petting zoo than anything else. You should also know that the only shade on the island is palm trees unless you seek refuge in the bar area or are one of the lucky few who rent a Bungalow. For me, that means I could not hang out on the island all day because I don’t want to be in the sun for that many hours. I do think that the Renaissance Aruba Resort is a lovely option, however the only beach they have is the Renaissance Island, so there’s no strolling out of your room and right onto the sand like if you stayed in Palm Beach, which I personally did. The best of both worlds, if you have the time, would be to spend a couple days at the Renaissance and a few days elsewhere that has more of a beachy feel. Thanks, Aruba, for giving me a taste of the Caribbean. It definitely left me wanting more! Thank you for sharing your honest opinion Kristin! The flamingo beach was on my bucket list for this year but I had no idea there were only 7 flamingos and that it’s more like a petting zoo! I may have to reconsider ? Thank you for sharing your adventures with us! Have a lovely day ? Kids only allowed on private island until 10 AM, tops optional after that. Tops optional? Didn’t see that, but cool! Wow! It’s Stunning. Thanks for sharing your experience. Looks pretty rad, I want some pink compadres in my life! That resort is pretty damn beautiful too. I didn’t even hear about it when I went to Aruba! What an incredible experience! The photos are beautiful, you really made the most of this wonderful place. I had a similar experience swimming in the sea with animals in the Bahamas, but in my case they weren’t so exotic…they were pigs! The Exuma pigs looked very content wading around the crystal clear blue ocean and trotting along the white sand. An unforgettable experience, much like your own! We are going to be staying at the riu properties in palm beach. How do we sign up from another hotel to get to the flamingos I personally want to see them and get pics. Do we sign up at the riu or how does this work ? You have to show up and pay for the ferry, or if you’re staying at another one of their properties maybe contact them and see if they’ll include it for you. This resort and private island are now owned by the Poarch Band of Creek Indians out of Alabama. I am headed down in March. Hoping for an amazing vacation. Thanks for the update! Is it still named Renaissance? BTW this group of Native Americans-Creeks have a unique history in that they were not removed during incidents like “The Trail of Tears”, so they have remained in or near the home the whole time and have their own government, etc. The site gives more details about them beyond my scant historical knowledge! Thank you for sharing your experience. 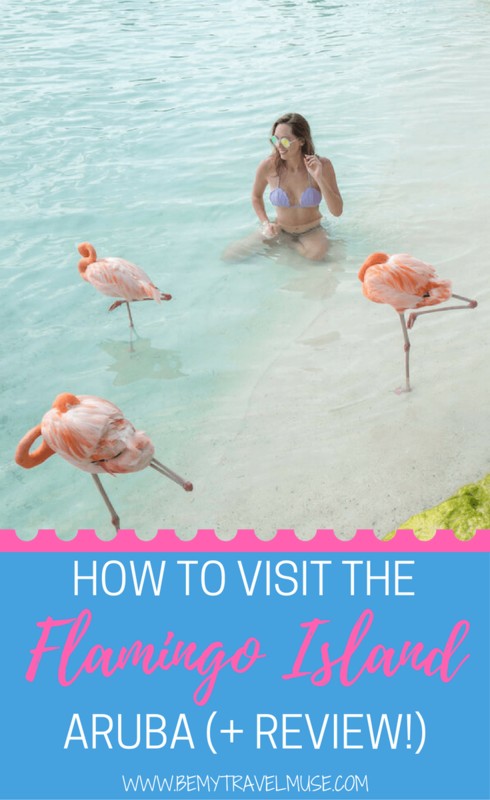 I’m surprising my husband with a trip to Aruba for his birthday in May and I had wanted to do a day trip to Flamingo Island. I will now be rethinking it because of the lack of shade, cost and the fact that there really aren’t many Flamingos. That being said, it does look like a beautiful island. I think it’s still pretty cool, but the natural pool is an amazing day excursion too! 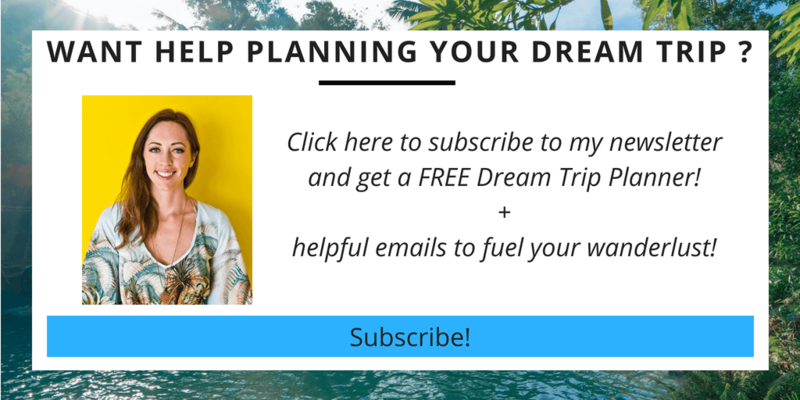 This was extremely helpful and a huge time saver I will save this bucket list items for when I can stay on the island when not on a cruise. Thank you Kristin for the input. I’m traveling to Aruba 22 May 2018. Flaminigos are my favourite birds!!!!!! I’m taking my daughter with me. Yes, it’s a steep price, but, the sun won’t bother us. We are from St. Croix!!!!!! I are seriously considering this, even though I will pay for it, but, I don’t know when I will ever visit Aruba again. ANy other places you suggest? Restaurants/attractions??? Yes take the day trip to the Natural Pool! They bring you to cave as well. It was my favorite thing I did besides the flamingoes. The diving is decent too. Kristen- any chance you recall the cost associated with renting a hut for the day? I think it was several hundred. I am in Aruba right now staying at one of the Riu resorts which I know is very close to the shopping mall area. Today is our second last day here and we have still yet to visit the island! Do you by any chance remember what time the tickets go on sale? You’ll want to give them a call and get there as early in the day as you can. If you show up and they say they’re sold out you can try saying you talked to them on the phone and they said they had space. That actually worked for me last time! We will be visiting in Dec for a yoga retreat. But our flights worked out better to stay 1 extra night. So I’m considering staying at this hotel and seeing the flamingos. Is there a certain time they take everyone out to the island and what time do they typically get back to the hotel? The boat runs all the time, all day, so you can go and come back whenever! I’m planning on visiting Renaissance island in late November! Just having a little hard time finding out how the transportation would work going from Aruba (AUA airport) to Renaissance island? Did you have any trouble with transportation or is that something the Renaissance resort provides? I’d contact the resort! I took a bus that drops people off at various resorts, so that’s an option too. Thank you for the information. My husband and I will be taking a cruise in April of 2019. I would love to see flamingo island. There is actually a third way to visit the island. Their spa guests can stay for the day. My Boyfriend and I have an oceanside couple’s massage booked for Oct 16, 2018. It will be our first time there. Cant wait! Thanks for the intel that’s awesome! Better value too. Hi Kristin this is a very nice review..!! I’m actually planning a weekend getaway to Aruba.. any recommendations on what to do since we only have 2 days there..?? You could do this one and Arikok National Park. That would be a pretty sick trip! These are two separate bookings right? It’s the renaissance hotel that I linked to in the post. Thanks for sharing your experience! I think the same as you in relation to the price of the entrance, it is true that swimming with flamingos is something quite unusual but they are very few besides that everyone wants to be close to them! I usually stay at the nearby beaches like Eagle Beach, it’s very beautiful, it’s also worth seeing the California lighthouse, do not you think? I’m so sorry that happened to you! That sounds like a terrible experience. I wish you all the best with your healing. We are there now and sadly an older man had a heart attack and died yesterday on the island but they do now have a defibrillator which was used.